If you have purchased the Run: Nothing To Hide Mini be sure to double check that the the skirt is sewn together properly. 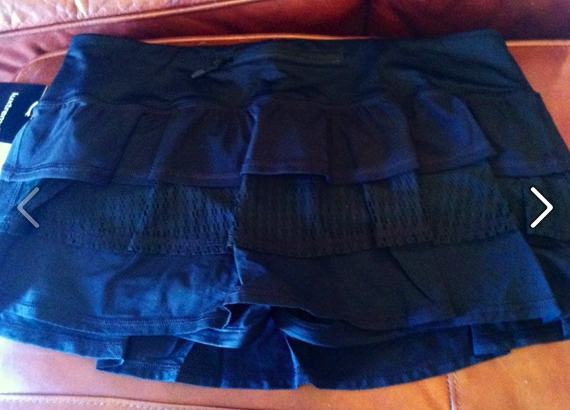 A reader has received her skirt (the black one below) with the skirt and shorts sewn in one direction and the skirt sewn on backwards with the shorter length of skirt in the rear (2″ shorter) rather than the front and the front of the skirt being longer with the logo showing. I think how production lines work is that there may be an entire batch of these skirts sewn in incorrectly and they will likely be all the same color (black) so be sure to check that yours has the shorter length of the skirt facing forward and the zip pocket in the waist at the back. 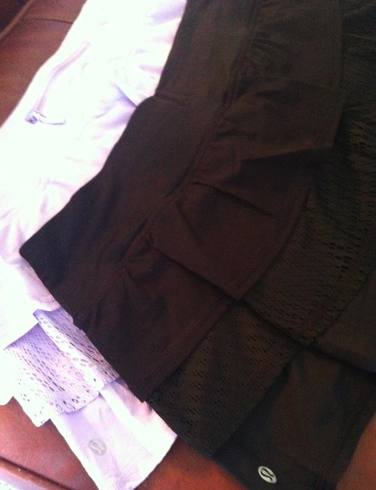 Lilac skirt below, ‘front’ of black skirt with the longer skirt length and rear logo facing front. "High Brow Low Brow: Dance Studio Pant Dupe At Footlocker"